Since debuting in 1979, American director Spike Lee has grown to be one of the most prominent directors. With a niche for African-American characters, the 61-year-old director has touched a variety of genres and themes in a career spanning over four decades. From taking on a community which lynches the other caste, to challenging the viewers with a perceptive bank heist, Lee has done it all. The director’s accolades cabinet says it all – With two Academy Award nominations, a Student Academy Award and an Academy Honorary Award from the Academy of Motion Picture Arts and Sciences, two Emmy Awards, two Peabody Awards and an honorary BAFTA Award, Lee is veteran of the business. With that said, here’s the list of top Spike Lee movies, selected from his impressive filmography. You can watch some of these best Spike Lee movies on Netflix, Hulu, or Amazon Prime. An adaption of Aristophanes’ ‘Lysistrata’, this 2015 flick focuses on the gang violence pervading in the city’s south side, the Englewood neighbourhood. While the film witnessed limited theatre release, the dexterous mapping of Lysistrata’s literary sensibilities and its adaptation in the modern-day susceptibilities helped it earn commendable critical praise. Notable critics applauded Lee’s direction and called it his “smartest and sharpest” production, and his directorial efforts earned it the distinction of being one of the best-rated movies of 2015. Teeming with interesting and unique characters, ‘Get on the Bus’ is about a group of African-American men who are on a cross-country bus trip in order to participate in the “Million Man March”. With inspiration soothing out of Reggie Rock Bythewood’s screenplay and memorable performances from the lead cast, ‘Get on the Bus’ prove to be one of the best films of 1996. While it got shoved under the carpet with commercial and critical blockbusters like ‘Fargo’, ‘Independence Day’ and ‘Mission: Impossible’, Spike Lee’s feature did not get the credit it deserved. However, with Lee’s quirky style of direction and the performances of the lead, the film is a certain watch. Upon its release, ‘School Daze’ could not connect with the audience due to its untouched subject matter. A musical comedy-drama, ‘School Daze’ is about the fraternity and sorority members clashing with other students at a historically black college during homecoming weekend. 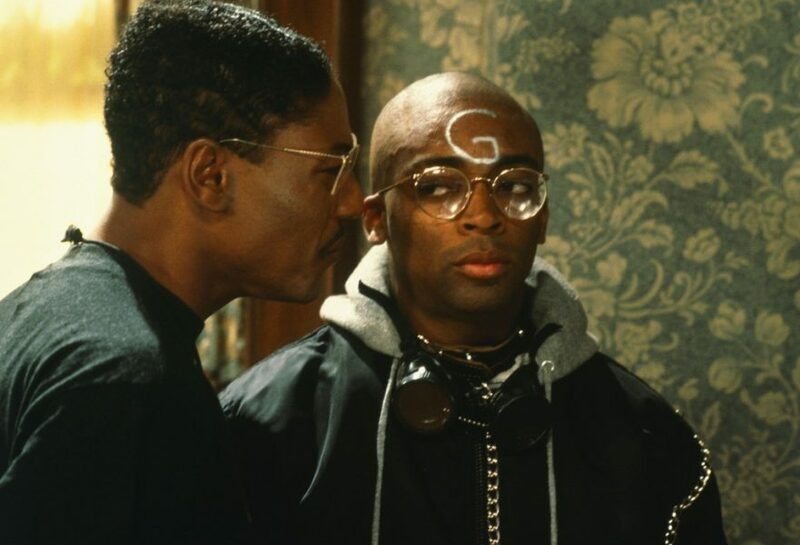 The second feature film of Spike Lee saw him dealing with issues such as caste, colour and creed while he challenged the artistic perception with a dominating directorial discourse. Lee’s intricate understanding of the issues like “colourism” and “hair texture” bias within the African-American community earned him immense praise and helped establish the careers of its lead actors in remarkable fashion. A crime thriller film, ‘Inside Man’ is set around a bank heist on Wall Street over a 24-hour period. The director impeccably used Washington’s crisp and articulate speech. 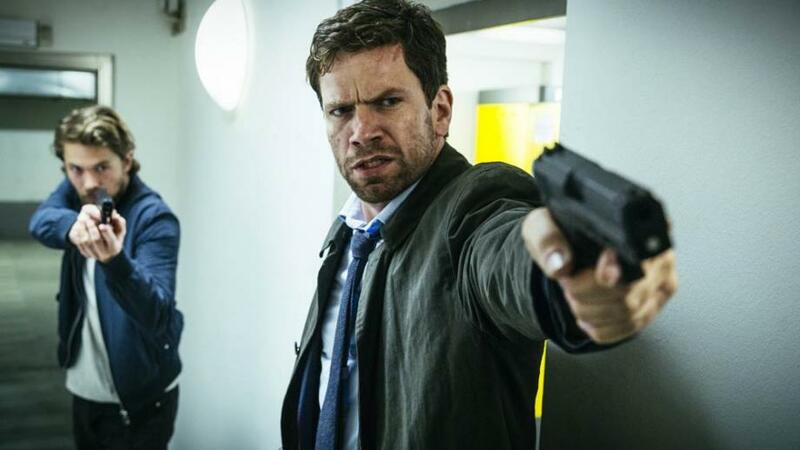 Making his fourth screen collaboration with Washington, the film is teeming with adrenaline rushing moments. The film, as coined by Newsweek’s David Ansen, the flick is an “unapologetic genre movie.” With a starry cast including the likes of Clive Owen, Jodie Foster, Christopher Plummer, Willem Dafoe and Chiwetel Ejiofor, the director squeezed out every bit of dramatic talent the actors had, making it his most commercial venture till date. An infusion of a comedy, drama and a sports film, Lee’s 1998 project saw him collaborating with Denzel Washington for the third time. The movie, like any other Lee project, uses the genre to retell the clichéd ventures of a father-son redemption tale, social commentary and political injustice. Narrated through the jarring tale of Jake Shuttlesworth, a prisoner granted temporary parole by an unscrupulous warden as part of a backroom deal that leaves Jake scrambling to convince his estranged son to sign with the governor’s alma mater, the film possesses every element required to be a successful endeavour. 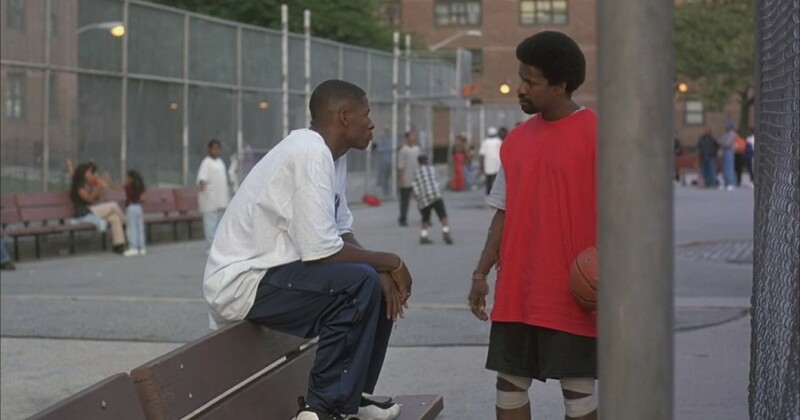 Unlike most sports films, ‘He Got Game’ opted for a dark and unsettling tone which makes it such a unique watch. 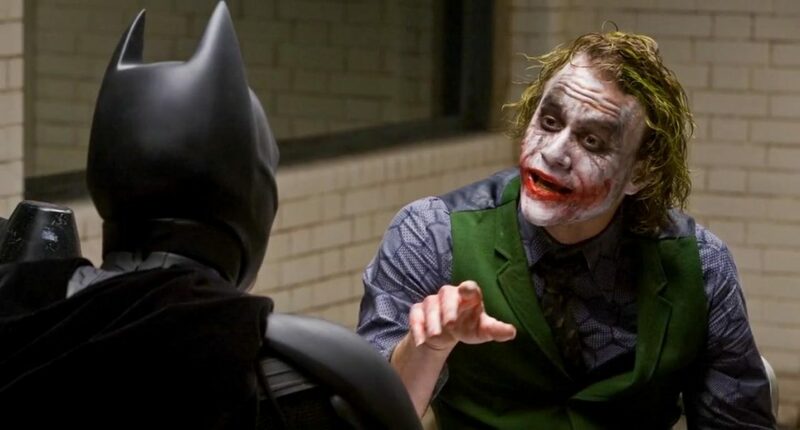 The balanced direction complemented by an intriguing screenplay written by Lee himself, an engaging camera work by cinematographer Malik Hassan Sayeed and a dominating soundtrack by Howard Shore, the film went on to become a highly successful film. 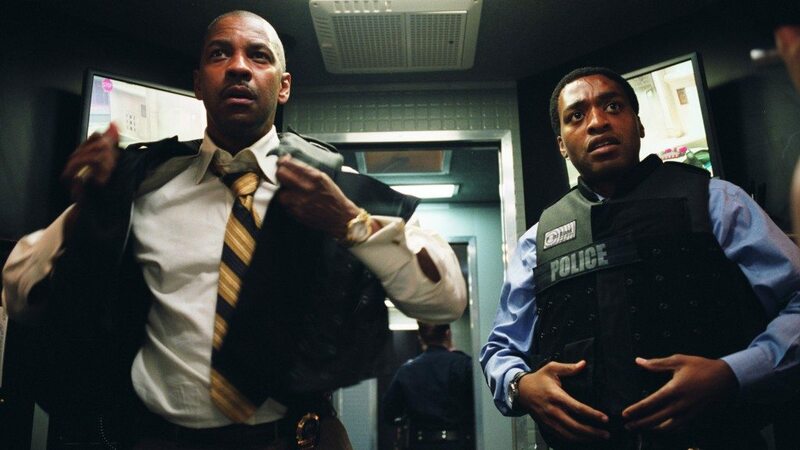 While actors Denzel Washington and Ray Allen received applause, Lee’s direction was certainly the deciding factor which provided a strong foundation for their performances. It seems as though Spike Lee’s only desire is to cross the limits of absurdity with every feature, and ‘The Original Kings of Comedy’ is no exception. A stand-up comedy flick filmed in front of a live audience, this 2000 feature starts leading comedians Steve Harvey, D.L. 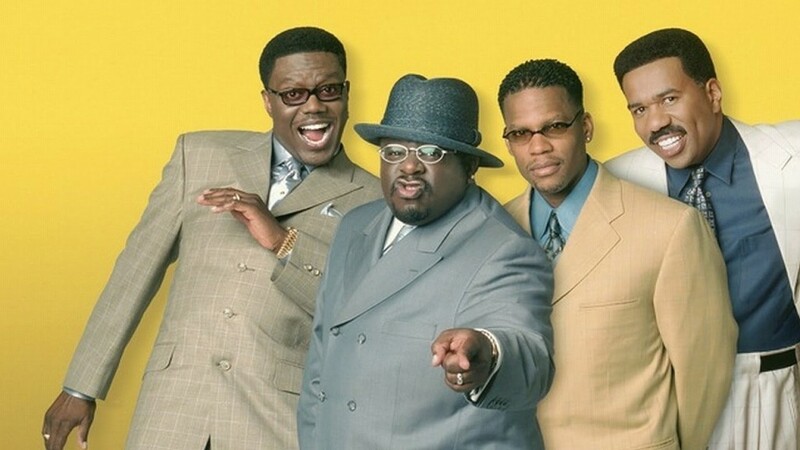 Hughley, Cedric the Entertainer, and Bernie Mac. Advertised under the banner “We Got Jokes.”, the film is not a mere comedy. Lee’s fascination with racial narrative discourse, the film is packed with perfect comedic timings with dominating racial consciousness. Lee’s directorial debut saw him venturing into romantic comedy. Considered as a landmark film in the independent circuit, ‘She’s Gotta Have It’ stars Tracy Camilla Johns as the “sexually charged” Nola Darling and deals with her exploits with her three boyfriends – Jamie Overstreet, Greer Childs and Mars Blackmon, essayed by Tommy Redmond Hicks, John Canada Terrell and Spike Lee respectively. This 1986 flick showcases her talents while complementing it with the characteristic traits the men possess. Teeming with memorable one-liners, the film, although quite funny, faced some flak for its depiction of women. However, in spite of this, ‘She’s Gotta Have It’ speared into being one of the most important films of the independent scene as well as the African-American community. ‘Jungle Fever’ is the story of an interracial relationship between Wesley Snipes’ Flipper Purify, an African American architect and Annabella Sciorra’s Angie Tucci, a white Italian American, who fight all odds against the urban backdrop of the streets of New York City in the 1990s. The film saw Lee dealing with the societal issues of racism and drug addiction. The film’s success lies in its incredible team. With Lee’s artistic genius, the lead cast consisting of Wesley Snipes, Annabella Sciorra, Ossie Davis, Ruby Dee, Samuel L. Jackson, Lonette McKee, John Turturro, Frank Vincent, Halle Berry, and Anthony Quin, complimented by the musical mastermind of. Terence Blanchard and Stevie Wonder elevated the film to critical and commercial accomplishment. Lee’s fifth directorial venture saw his film win two awards at the “Cannes Film Festival”, one “New York Film Critics Circle Award” and a nomination in “AFI’s 100 Years…100 Passions”, to name a few. 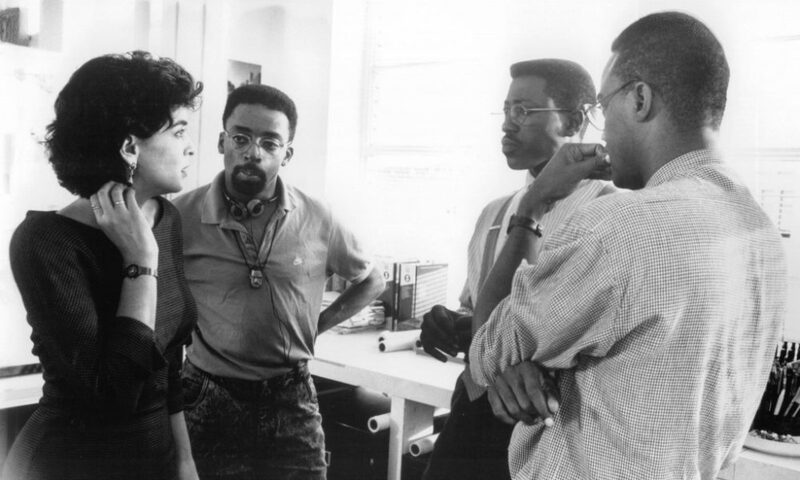 With ‘4 Little Girls’, Spike Lee decided to successfully establish himself as a competent documentary filmmaker. 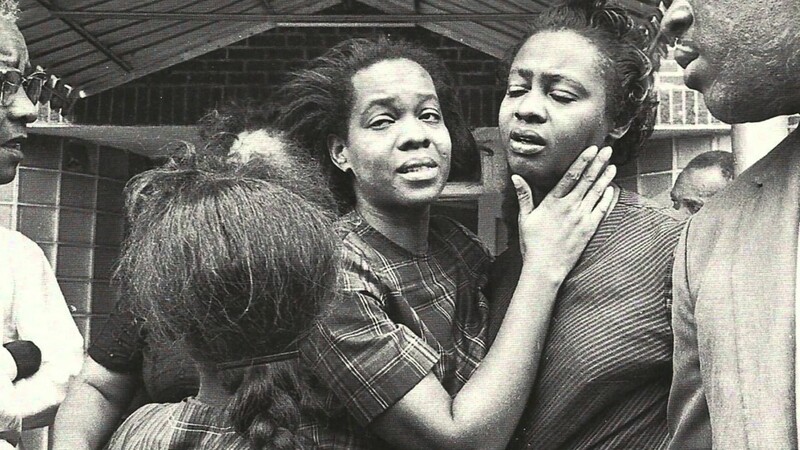 An intriguing documentary on the heinous racial terrorist bombing of an African-American church during the Civil Rights Movement, the film received immense praise for Lee’s commendable harmonising of his directorial focus between the broader implications of his subject and the racial overtones that pervaded America in the 1960s. The documentary rings with the dramatic reality that Lee grew famous for. With intricate detailing of a fascinating documentary, ‘4 Little Girls’ earned immense critical praise and an Academy Award nomination. Spike Lee is one of those directors who can’t be kept quite for too long. 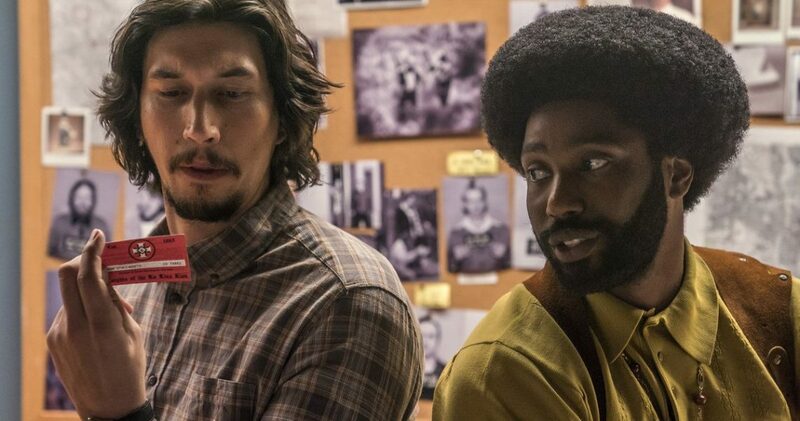 With ‘BlacKkKlansman’, he has chosen to talk about a topic — racism — that he himself brought to the forefront three decades earlier with ‘Do the Right Thing’. While the story of a black cop infiltrating Klu Klux Klan is automatically interesting, Spike Lee makes sure that there’s a right dose of satire mixed in with entertainment. All in all, Lee hasn’t been this good in quite some time now. Starring Edward Norton as convicted drug dealer Montgomery “Monty” Brogan, who reminisces his life in the 24 remaining hours before facing a seven-year jail term. 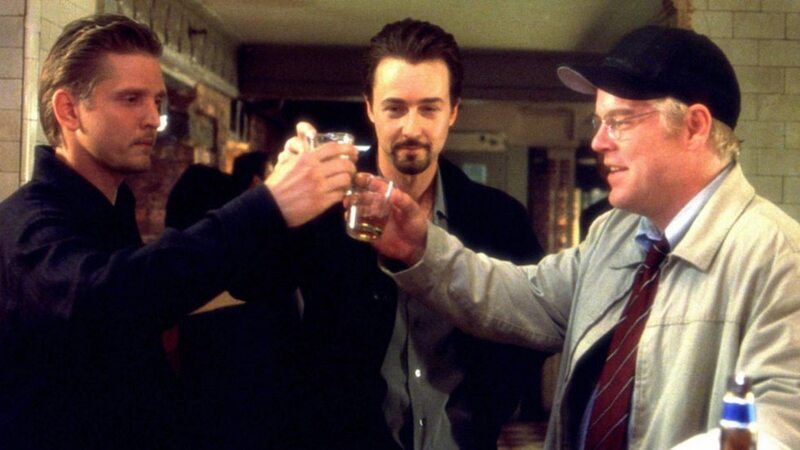 With the perfect blend of interpersonal dynamics was the stellar performance by the supporting cast, and an intricate direction, ‘25th Hour’ was named as “one of the best films of its decade”. The writing and direction are inspiring and intriguing one, and while the 2 hours 25 minutes run seemed to be slightly dragged, the film’s deep psychological, philosophical and biblical undertones helped the audience connect at an innately spiritual level. A film embroiled in complications, difficulties and controversies, ‘Malcom X’ essentially seasoned itself amongst the teething troubles, to churn out one of the best biographical dramas of all time. 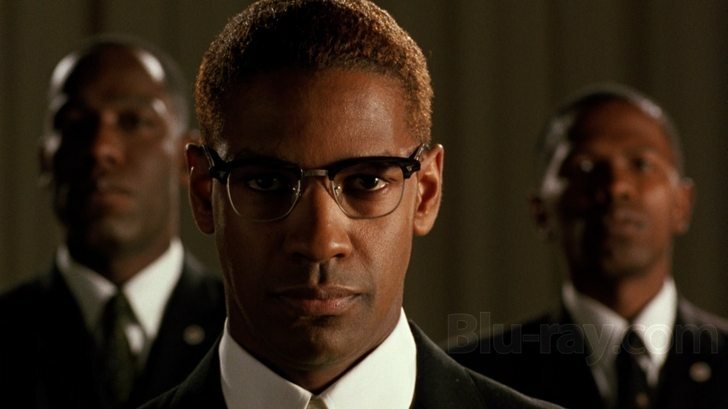 Starring Denzel Washington, this 1992 flick traces the historic life of Afro-American activist Malcolm X. Distorting the lines between reality and art, the film dramatizes the activist’s life but maintained the essence of a biography with dexterity. ‘Malcom X’ is completely dependent on the mature shoulders of both Lee and Washington. With an intricate direction, the actor could bring out a chilling and tremendous performance, outlining Malcolm X’s rise from the streets to becoming one of the most influential leaders the world has ever seen. 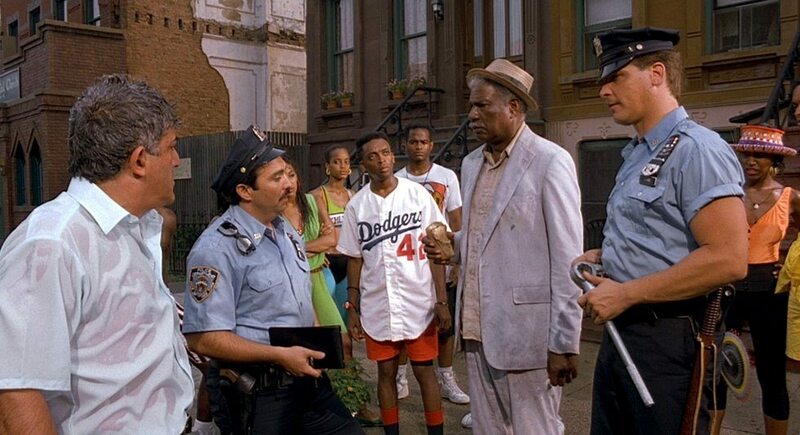 ‘Do the Right Thing’ is set around the hottest day of the year on a street in the Bedford-Stuyvesant section of Brooklyn, where hate and seething racial tension culminates with tragedy and violence. The film explores the themes of race and its surrounding peace and conflict. An artistic inspection of prejudice, ‘Do the Right Thing’ plays on its title, i.e. “…what is the right thing?” The film holds a strong grasp in the direction, writing and editing. Each of these essential elements united to produce a brilliant piece of work. Embroiled in contentious controversy, the film glacially rose in critical prominence and earned the appreciation of veteran critics Gene Siskel and Roger Ebert, who called it ranked it the best film of 1989 and one of the best of the decade.